Gestational Diabetes occurs in women through their pregnancy. Gestational Diabetes happens to be a condition that is characterized by high blood sugar (glucose) levels which is observed during pregnancy. The condition is seen in around 4 percent of all the pregnancies. Causes: Most of the women have certain degree of impaired glucose intolerance, which happens to be result of the hormonal changes which takes place during pregnancy. This literally means that your blood sugar could be higher than normal. When you reach the later stage of pregnancy, the hormonal changes have greater risks of gestational diabetes. Healthy eating is what we intend, which means necessary changes needs to be made in your current diet to suit the condition. The diet plans given below will serve as a framework for your daily meal plans. 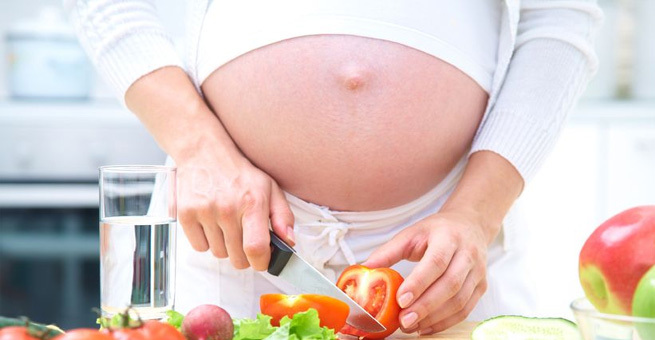 Gestational diabetes is possible to be effectively controlled by the diet alone. The Oral hypoglycemic medications are not recommended especially during such times therefore the diet has to be followed with utmost sincerity. Gestational diabetes does not really cause any harm to your baby however if untreated it can make your baby produce too much insulin as well as gain too much weight too. So the diet choice has to be smart to control the condition and take care of the required nourishment too. The key is to maintain the blood sugar levels. In order to manage your Gestational Diabetes, here are a few things to understand with regards to diet. Carbohydrates are basically broken down into glucose and used for energy. Carbohydrates are very essential for the health of your baby and you. Therefore we need to make sure that the blood glucose levels has to be managed in such a way that you spread your food with carbohydrate in 3 small meals and 2–3 snacks each day. Which are the foods that contain Carbohydrate? Starchy vegetables like sweet potato, taro, potato and cassava. Legumes like red kidney beans, baked beans and lentils. Carbohydrate foods that have less nutritional value like soft drinks, cakes, biscuits etc. has to be avoided. If a woman with gestational diabetes is having high blood glucose levels even after consuming right amount of food then it is important not to reduce the carbohydrate intake. Sometime women need that extra help in order to manage the blood glucose levels and for that insulin might be required. Vegetables: Vegetables that are low in carbohydrates can be consumed to control gestational diabetes. They are pumpkin, radish, garlic, ginger root, tomato, turnip, spinach, bean sprouts, beetroot, cabbage, capsicum, carrot, cucumber etc. Try to eat 5 servings of vegetables daily. During pregnancy, calcium and iron requirements are more. To get enough of calcium and iron include daily 3 servings of low fat calcium rich foods every day. You can get that by consuming soy milk, yogurt, and 2 slices of low fat cheese. Iron intake can be got from chicken, fish, and red meat. Vegetarians will have to substitute by an iron supplement or pregnancy multivitamin. Protein: Protein serving should be of 2 small serving daily. Protein is very significant for the growth as well as maintaining the body. Foods that contain protein are skinless chicken, fish, eggs, lean meat and reduced fat cheese. Food containing fat in particular must be reduced- saturated fat especially. Prepare food using healthy fat like olive, canola as well as unsaturated oil, unsalted nuts, avocados and margarines. Fat is not known to affect your blood glucose level directly however if eaten in large quantity, it can cause extra weight gain which makes it more difficult to control blood glucose level.